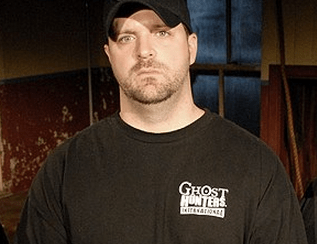 SF has commissioned Haunting: Australia, a new paranormal investigation series featuring Robb Demarest (pictured) from Ghost Hunters International, exploring some of our own haunted locations. He will be joined by Ian Lawman (Most Haunted and Living with the Dead), The Paranormal 5’s Ray Jorden and Gaurav Tiwari, CEO of the Indian Paranormal Society, Australian paranormal enthusiast Allen Tiller and clairvoyant Rayleen Kable. Each member of the team will use their individual paranormal techniques and methodologies in different haunted locations. “Our SF audience loves paranormal investigation series and Haunting: Australia brings a unique local perspective to the genre. This is the first time we’re able to offer our audience a series dedicated to finding Australia’s paranormal phenomena”, said Peter Hudson, CEO of SF. The 8 part series will be produced by Flame Productions and begins filming in August. Obviously Peter Hudson is out of touch with his viewers. The Syfy face book page is rife with complaints about this show. As with the woefull content of this channel. Despite all of the effort, these shows never uncover anything remotely “paranormal”.